State nuclear power company Rosatom invests big sums in the construction of a new dry dock and reactor repair complex. As the building of Russia’s new fleet of nuclear-powered icebreakers proceeds in the Baltic Yard outside St.Petersburg, the fleet operators in Murmansk are preparing for the coming of new vessels. 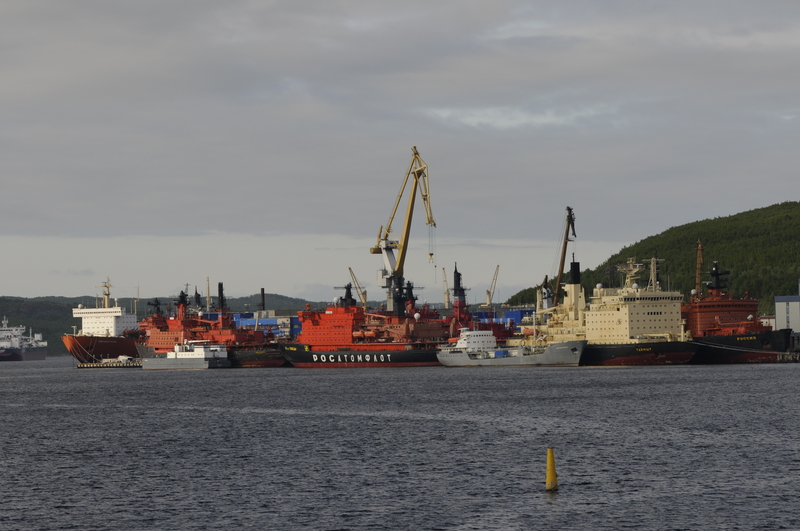 The LK-60 icebreakers will all be part of the Atomflot base near downtown Murmansk. 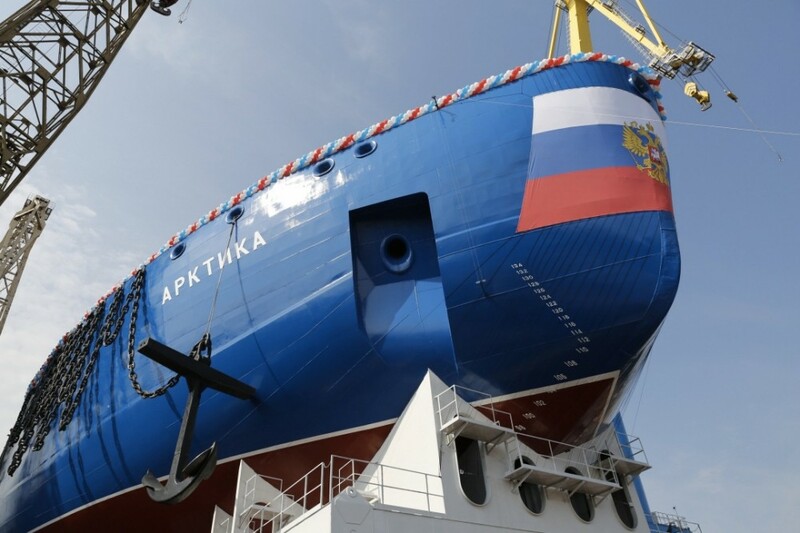 The first of the ships, the «Aktika» is due to be completed in May 2019. The «Sibir» and «Ural» will follow in 2020 and 2021 respectively. They will all be operated by Rosatomflot, the subsidiary of Rosatom. In December, leader of Rosatomflot Vyacheslav Ruksha hinted that another two vessels of the kind would be needed. With the ships comes a set of new requirement for local infrastructure in the Kola Bay. Currently, Rosatom does not have its own dry dock for repair works and is forced to use a dock located very close to the city center. That will soon come to an end. A new docking facility for repair of the propeller and steering systems of the new icebreakers is under construction. Representatives of Rosatomflot in mid-December paid a visit to the new facility which has a price tag of 500 million rubles (€7,3 million), the company informs. In addition, a special 1,5 billion rubles (€21.9 million) reactor reloading complex with equipment is under planning, company representative Nikolay Mantula says. It is the Afrikantov Design Bureau which is leading the development of the complex, which ultimately will enable Rosatom to repair and maintain the new RITM-200 reactors. Rosatom also plans the building of a new major dry dock with a 60,000 ton capacity. “Rosatomflot is actively preparing for the delivery of universal nuclear icebreakers,» says Mantula. «The proportions of the new vessels are significantly bigger than the current icebreakers [and] the company needs to modernize infrastructure in order to serve them». However, Rosatom is also facing several other challenges at its Atomflot base in Murmansk. The base is simply running out of space. The nuclear-powered icebreakers, as well as transport vessels for spent nuclear fuel, are already staying side-by-side in port, and there is seldom free quay spots. And in 2018, it will get worse. Then, Russia’s first floating nuclear power plant, the «Akademik Lomonosov» will be towed from a yard in St. Petersburg to the base for a one-year reactors testing period. And that will be at the same time as «Rossita» a transport vessel for spent nuclear fuel will sail in shuttle between the run-down Andreeva Bay storage and Atomflot with old and highly radioactive uranium fuel elements. Atomflot has the only loading facility to railway for the special designed casks for spent nuclear fuel. For radiation safety reasons, and terror threats, these vessels can not make port call to quays other places in the region. The ships (Project 22220) will be the most powerful icebreakers in the world. They will have two RITM-200 reactors with a capacity of 175 MW and a capacity to break through three meter thick ice. On board will be a crew of 53.